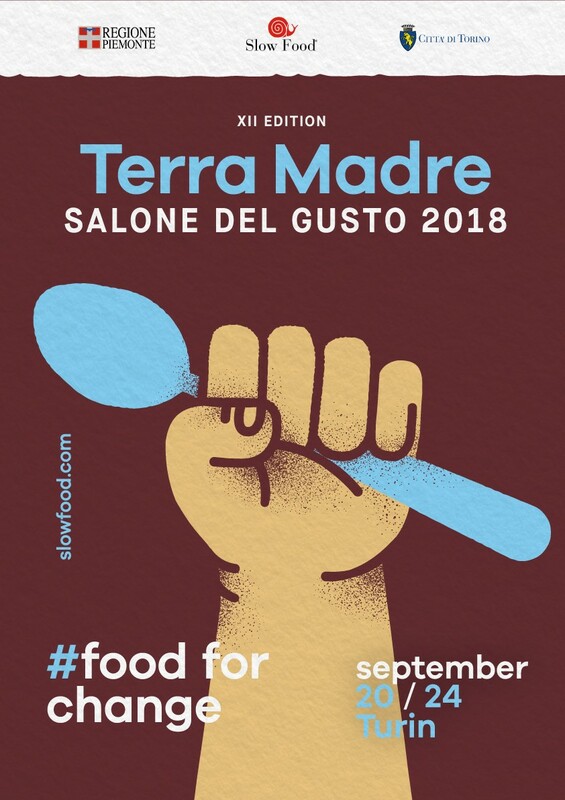 Organized by Slow Food in collaboration with the Region of Piedmont and the City of Turin, Terra Madre Salone del Gusto, the most important international event dedicated to food culture, will be held in Turin, Italy, from September 20 to 24, 2018. Over 5,000 delegates from 140 countries, over 800 exhibitors, 300 Slow Food Presidia, and 500 Terra Madre food communities will gather in Turin. Food for Change is the guiding theme of this 12th edition of the event: more than ever before, the focus will be on people and the change that everyone can help create. The Terra Madre Arena, made possible thanks to the support of IFAD (International Fund for Agricultural Development), will be one of the highlights. The Terra Madre Arena will be a stage for Slow Food’s different networks to come together and explore the crucial issues that the international movement has been working on for years. More than 50 events will take place in the Arena during the 5 days. Indigenous peoples are the world’s most important custodians of biodiversity: Sixty-seven percent of the planet’s agrobiodiversity is concentrated in their lands. It is clear, then, that supporting indigenous communities and their traditional food systems is a crucial aspect of preserving the world’s biodiversity. Their knowledge, often undervalued, is essential to tackling global challenges like climate change, food insecurity, and inequality. Terra Madre Salone del Gusto will benefit from the presence of more than 300 indigenous delegates from more than 60 countries. In the Arena, the forums organized by the Indigenous Terra Madre (ITM) network highlight the urgent need to promote and protect the food production systems of indigenous peoples, valuing their holistic approach and strengthening ties with the entire Slow Food movement. Events and conferences will focus on 4 main themes: women as agents of change, land rights, indigenous youth as drivers of change, and indigenous chefs. On September 20, the indigenous network will open its program with a traditional ceremony and the network’s governance, strategy and achievements over the last 2 years will be presented to facilitate the sharing of ideas and discussion on upcoming events. Nicolas Mukumo Mushumbi (from the Democratic Republic of Congo) and Denisa Livingston (from the USA), both Slow Food International Councillors for the indigenous network, will attend the event. To view the entire program, please click here. Migration is one of the central themes within the Terra Madre Arena. A delegation of more than 200 migrants from 33 different countries will to come and many issues will be discussed in the Arena, such as climate migration, modern forms of slavery, the role of migrants in international development, and food as a vehicle for social integration. The recovery of ancient traditions, relationships of cooperation, the sharing of knowledge, and participation are strategic elements for building the resilience of migrant communities in Italy, Europe, and the world, and for shifting society’s perception of migrants so that they are seen not as victims but as facilitators of change. The Terra Madre Forum Recipes of Dialog(September 23 at 6:00 p.m. – Torino Lingotto Fiere), a joint initiative by LVIA, Slow Food, Renken, Colibrì, Panafricando, Asbarl, Piedmont Region and City of Turin, financed by the Italian Development Cooperation Agency (AICS), is an example. These topics will also be taken up at the International Festival of Mediterranean Cuisine, which will take place between the Arena and the San Salvario neighborhood of Turin during Terra Madre Salone del Gusto. Basin of biodiversity, cultures, and recipes, the so-called Mare Nostrum (September 20 at 4:00 p.m. – Torino Lingotto Fiere) will be celebrated in all its richness to promote a new model of Mediterranean development and reception. To view the entire program, please click here. So far, 600 young delegates from about 100 different countries have booked a flight to Turin, and many more will join in the coming weeks. Ten youth delegates have decided to embark on an amazing journey called Giro di SFYN, named after the famous cycling tour of Italy. They will depart the Netherlands by bicycle on September 6 and cross 9 countries in 11 days on a 1.250-kilometer trip (with 10.000 meters of cumulative elevation gain) to reach Turin in time for Terra Madre Salone del Gusto. Along the road, they will stop to visit local producers and network members, spreading the good, clean, and fair philosophy. Valentina Gritti, international coordinator of the Slow Food Youth Network, says, « We decided to do the Giro di SFYN because we want to think outside the boundaries imposed on us: Cycling makes you re-examine the distance and space between places. Of course, we also want to send out a message, since flying is an unsustainable way of travelling and we do care about the environment: alternatives are possible most of the time. » Once in Turin, all the youth delegates will meet at the space dedicated to the Slow Food Youth Network (SFYN) to discuss different issues, to learn, to share good practices, to network, and most of all to have fun together. Connection and empowerment will be the common threads of all the activities, which will include workshops, round tables, and conferences. Starting with a daily morning yoga session, the program (available here) will be very rich. As well as in the Arena space, some of the SFYN’s activities will be held at the University of Gastronomic Sciences stand. Terra Madre thematic Forums are presented by delegates of the network and are open to the public as long as seats are available.